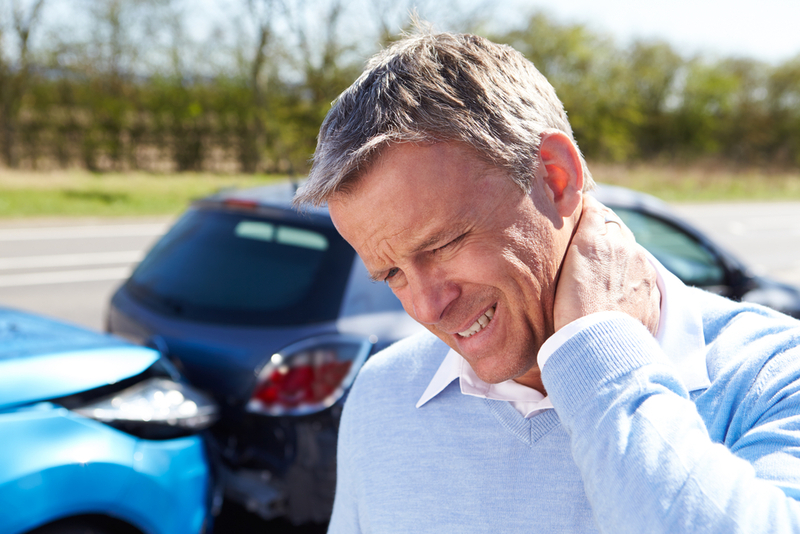 When you get injured, your first thought may be to make an appointment directly with an orthopedic surgeon, chiropractor or sports medicine physician. However, a physiatrist helps a wide range of patients, including those suffering from injury, disease or musculoskeletal pain. Physiatrists prefer to take a non-surgical approach to rehabilitation and are dedicated to problems of the musculoskeletal system. Consulting with a physiatrist before seeking surgical treatment can be a valuable decision. Physiatrists offer big-picture insight to help patients understand their full spectrum of treatment options. Physiatrists study the big picture and, because their training is broad, it allows them to look at the total body rather than just one organ. By considering other areas of the body, physiatrists can be helpful for pinpointing difficult-to-diagnose pain by examining the relationships of all the moving parts of the body. A physiatrist’s goal is to restore functionality in patients living with injuries, diseases and disorders. Physiatrists often act in concert with a patient’s other physicians, such as primary care doctors and neurologists — or even spearhead a team of medical professionals to optimize a patient’s treatment. By having a physiatrist assume a central role in your recovery, they will create your step-by-step plan for rehabilitation, orchestrating the entire therapeutic team. Physiatrists enlist the support of many experts, including physical therapists, occupational therapists, psychologists, care managers, and other needed physicians and professionals. Because a physiatrist focuses on functional wellness, they tailor your treatment to your needs. If you simply want to climb the stairs or be able to play on the floor with your children, your treatment program may be different than an injured Olympic athlete hoping to compete professionally again. Whatever your needs, a physiatrist can help get you there. What Procedures do Physiatrists Perform? Electromyography (EMG): Inserting fine needle electrodes into muscles to measure the performance of muscles and nerves. This helps physiatrists discern if weakness is due to dysfunction of the muscles or nerves. Nerve conduction studies (NCS): Using electrodes to establish the location of a nervous system injury. Peripheral joint injections: Injecting bone and soft tissues to help diagnose and treat disorders. Trigger point injections: Using lidocaine or dry needling on trigger points to ease soft tissue pain. Musculoskeletal ultrasound: Using internal imagery through an ultrasound to evaluate soft tissue abnormalities, and to guide injections. Spasticity management: Using oral antispasticity agents to treat spasticity after CNS injury (stroke, cerebral palsy, etc. ), and to help relieve pain. Physiatrists may also provide treatments such as image-guided spinal diagnostics and injections, epidural injections, radiofrequency ablation; and other procedures like acupuncture and stem cell treatments. If you or someone you know is suffering from musculoskeletal pain, injury, or disease, talk to your physician about being referred to a Michigan Spine and Pain physiatrist. We strive to be a model physiatrist practice through continual education and dedication to providing quality care. Is Pain Making You Tired? Pain and fatigue often go hand in hand, especially when there is chronic, long-term pain. The exhaustion and weakness that can accompany pain may develop slowly or appear suddenly. When developing a pain management strategy, coping with fatigue should also be part of the plan. Reducing your physical activity because of pain can weaken muscles and make you tire more easily. Talk with your pain management team and work out a realistic exercise and activity plan. Tip: Enlist friends and family to help you achieve your activity goals and help you regain your confidence. A walk with a friend seems shorter than a trudge alone. Just remember to be realistic and tell them when need to stop and rest. Whether you’re limited by an injury, living with arthritis pain, or recovering from surgery, pain can cause you to adjust the way you move. 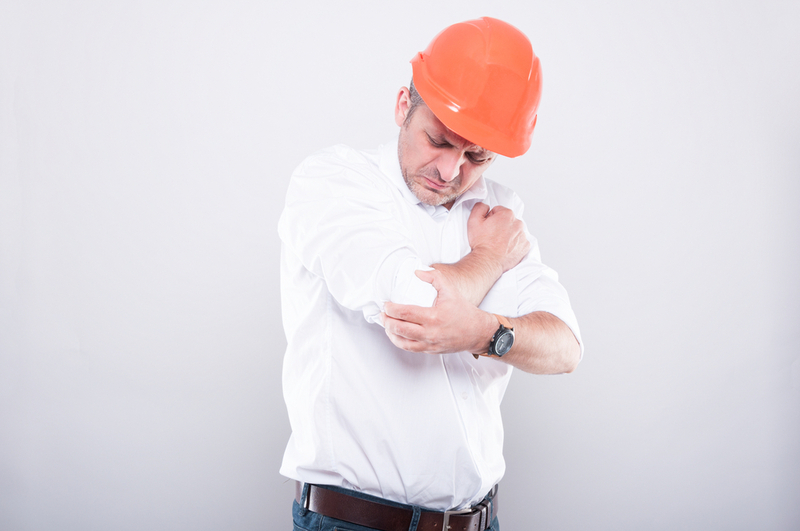 This can create unusual stress on muscles and joints and cause more pain – and more fatigue. Tip: Be aware of how you position your body whether you are moving or at rest. If, for example, you are favoring an injured knee, be aware that the other knee is now taking on more than its usual share of the load and will tire more easily – and be more prone to injury. Tip: Pay attention to the signals your body sends you and don’t try to push past your limit. Discuss any problems or setbacks with your medical team. Don’t wear yourself out trying to prevent fatigue! Emotional stress can also contribute to fatigue. Injuries can change your everyday life in an instant. You feel a loss of control and the burden of adjusting your lifestyle during treatment and recovery. Long term pain can be emotionally as well as physically draining. Depression is a common, and serious, side effect of chronic pain. Depression can contribute to fatigue and fatigue can feed the powerless feelings that lead to depression. It’s important to break that cycle. Tip: Do what makes you happy. Stay connected with family and friends. Continue activities that give you joy. If you find yourself avoiding the people and activities that you previously enjoyed, talk to your doctor right away. Finally, keep an open dialogue with your doctor about any new (or increasing) weakness or fatigue to make sure there aren’t any underlying illnesses or health conditions responsible. Don’t assume that pain alone is the culprit. Results of a 2013 study published in the medical journal Spine demonstrated a dramatic correlation between patients referred to a physiatrist and a significant decrease in spinal surgery. The study, developed to determine whether an insurer rule requiring physiatrist consultation before non-urgent surgical consultation would affect surgery referrals and surgery rates, was dramatic, according to the study’s authors, Dr. John Fox; Dr. Andrew J. Haig; Brian Todey; and Sastish Challa. While spine surgery rates vary, efforts to curb excessive reliance on surgery versus alternate treatments have been spotty, according to the authors. As nonsurgical spine experts, the study posits that physiatrists often are effective in providing patients with a different perspective on treatment options. 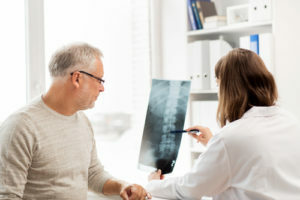 The study, conducted in 2007, included the requirement by insurers that patients with non-urgent spine surgical consultations in a specific geographic region first had to consult with a physiatrist (who received extra compensation for the assessment). Both surgical consultations and surgical rates results were then compared between 2006–07 and 2008–10. A survey of patients evaluated by physiatrists was subsequently performed to assess patient satisfaction and the results were telling. Of 740 patients surveyed (a 48 percent response rate), 74 percent were “satisfied” or “very satisfied” with the physiatry consultation. However, only 40 percent of patients who underwent previous spine surgery were satisfied. Although surgical rates decreased at all regional hospitals and throughout all surgical groups, there were substantial shifts in market share. The study concluded that a physiatrist consultation prior to surgical consultation resulted in decreased surgical rates and continued patient satisfaction across large segments of the public. For more information on how a physiatrist can benefit your diagnosis and treatment options, contact the professionals at Michigan Spine and Pain at online or call (800) 586-7992 to schedule a consultation. There’s no question that back surgery is a serious affair and that time is the most valuable asset. However, there are many things patients can do to help speed the process. We’ve outlined 10 recommendations that will help patients in their road to recovery. Some are more obvious than others, but all will aid in your struggle to get back on the proverbial dance floor. Proactivity is the fluid that helps grease the wheels to recovery. Eating well is essential in recovery and reducing your sodium intake is a big first step to overall better health. Eat small amounts several times throughout the day, which will help avoid nausea and bloating. No Sports Drinks: the “rehydrating” beverages are filled with sodium, which encourages water retention. Eliminating as much sodium from your diet as possible helps reduce swelling. Boost Protein Intake: Protein is essential with all wound healing, muscle and skin re-growth, and repair and prevention of hair loss. Make sure every meal or snack includes a good source of protein. Cutback on the Sugar: Refined sugars can suppress the immune system, upsetting your body’s mineral balance and increase fasting levels of blood glucose. Get on the Grapevine: Wine works as a diuretic, so consuming a glass of wine a few weeks post-operatively may be helpful for post-surgical swelling. Note: Never mix alcohol with any prescription drugs, and always consult with your physician before you consume alcoholic beverages. Supplement with Probiotics: Antibiotics and other prescription drugs will destroy good bacterium in the gut. Probiotics restore your ability to digest and move your bowels. Increasing circulation and the flow of lymph fluid will help your body to heal faster. Don’t run … walk. Provided you are able, rest for the first 24 hours post-op and then slowly get back into your normal daily activities, as tolerated. In the early stages of post-surgical recovery, many physicians request that heart rate should not to be elevated. We suggest walking in your neighborhood or mall at a normal shopping pace — not an exercise pace. You can do this without raising your heart rate for any length of time. Quit if you experience fatigue, dizziness or experience nausea. No. 3 | Stay Hydrated! Our maxim is “Only water hydrates,” but in lieu of water we also recommend low fat milk (1%); tea; diluted fruit juice (about 4 oz. /day); flavored water (i.e. Vitamin Water Zero); and Crystal Light. Stay away from carbonated beverages, including seltzers. Water-rich Fruits and Vegetables: Fruits like watermelon and grapefruit are water-rich. Strawberries also have high water content and are also low in natural sugar. Zucchini and celery are two vegetables that have high water content. While moving around is essential to getting your lymphatic system back in order, listening to the needs of your body is critical for long-term recovery. 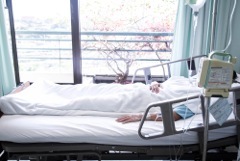 A week or so after your surgery, your conscious mind may be saying “get back to your routine,” but it’s well known that your body remains in a “trauma” mode for up to six weeks post-surgery. Listen to your body and what it tells you: if you need to sleep, then rest. Sleep is a miracle healer. Eat if you’re hungry and especially, drink when you’re both hungry and thirsty. Many times, if one is dehydrated, it masks itself with hunger. We recommend an 8-ounce glass of water before every meal. Loosening and strengthening muscles helps your skeletal system. Try using a large exercise ball. Rotate in all directions, if possible. Lay on your back, sides and stomach. Of course, your specific circumstances will dictate how each of our suggestions will affect your recovery. Before you begin any recovery options outlined, please consult your surgeon or treating physician to make sure nothing contravenes their advice. There are millions who suffer with migraines or chronic headaches. Headaches are a very specific type of pain, no two headache sufferers are alike. At Michigan Spine and Pain we approach each headache and each person as an individual and with a fresh multidisciplinary approach to diagnosis and treatment. Every patient is evaluated fully to determine the root cause of the pain and to determine the best course of curative and restorative action. 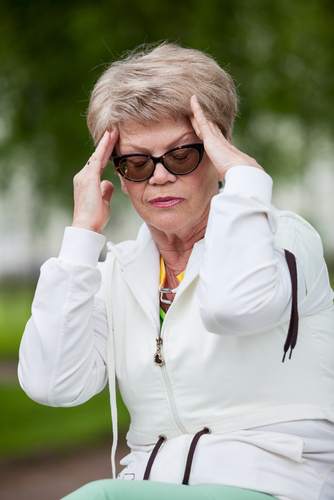 It is very common for headaches and migraines to be incorrectly diagnosed. There are many variable and different causes of headaches. 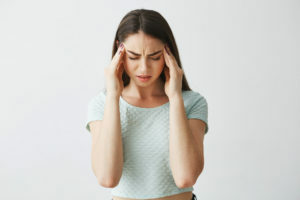 In our e-book (click HERE) we discuss several different types of headaches and their symptoms and possible treatments. We urge you to take your headache seriously and to know that we will do the same. Please call 800.586.7992 or contact us HERE anytime with questions or to schedule a consultation. We look forward to helping your relieve your pain. Oftentimes there is lifestyle difficulty that comes with chronic pain. People have difficulty with the expectations put upon them in society, and they also have to deal with their personal pain and suffering. Many are taught to push aside illness and to “grin and bare it,” especially when the problem is not visible to the outside world. We often deal with invisible sources of pain—at least to the naked eye. A person suffering with chronic pain may look completely healthy to the outside world, yet be suffering terribly. Additionally, pain levels are not always static; one day may bring terrible pain and the next may be tolerable or very little. 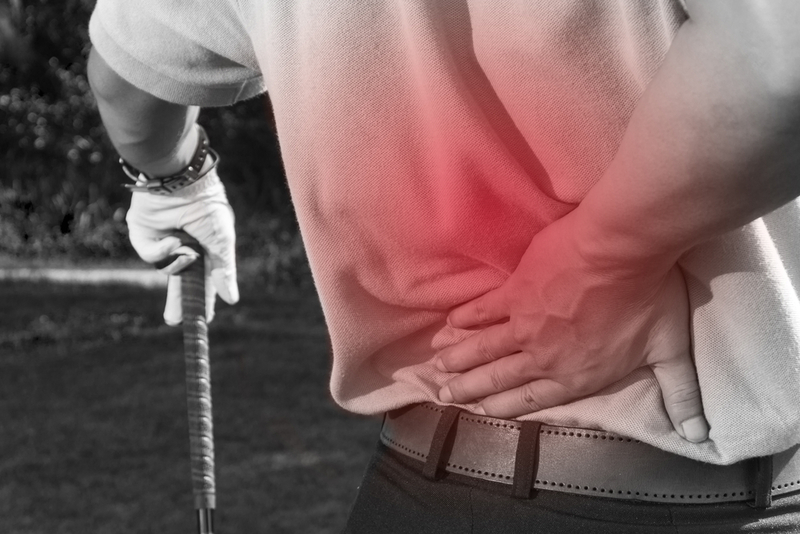 Sometimes it is one activity versus a different activity that causes a variance in pain. There are many stories of isolation due to pain. Both physical isolation because of physical limitations and emotional isolation. Often a patient becomes isolated or depressed because their non-visible pain is mocked, or disregarded by family, friends and associates. People may have the best of intentions, however in the general population, the concept of pain is one that is caused by an illness or injury, and then dissipates when the patient is cured or healed. This is not the case with chronic pain sufferers. Their pain may not leave and may worsen. This seems illogical to people and it may cause them to be insensitive. Furthermore, neither age, nor race, nor socioeconomic status is a determinant of chronic pain. Anyone may suffer, although society tends to expect certain populations, such as the elderly, to be those typically suffering with pain. We can help anyone with their pain related problems. At Michigan Spine and Pain we have a tremendous amount of resources to help patients with pain that is chronic, visible, invisible….anything. Let us help you reduce your pain. Call us anytime at 800-586-7992 or contact us HERE.